Buying a watch can be confusing, especially when you are searching for a pre-owned watch since there is so much choice. We decided to break down the main design features of a luxury watch to help your search. The material used for your case is one of the most basic parts of the watch and plays a big role in defining its aesthetic. Popular materials to use vary greatly, each giving their own unique look. Using classic steel for your watch remains popular due to durability and affordability. This Cartier watch uses steel for a slick and elegant look. White gold and yellow gold are also popular options for these statement pieces. Rolex even offers a classy and modern rose gold watch for those with more millennial tastes. Customizing the material and color for the face of the watch is one of the most fun parts, as it presents a wide variety of options. 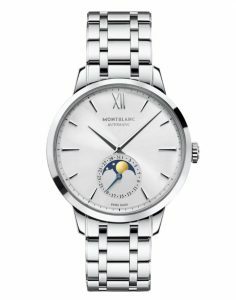 You can go for a basic color combination or opt for the other end of the spectrum, like Montblanc’s Moonphase (pictured left). Intricate details make all the difference, and depending on your personality the options are endless. If minimalism is your style, the dial of your watch can be simplistic and modern with few furnishings. 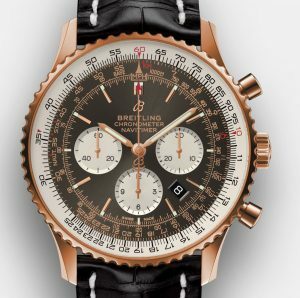 Alternatively, you could also opt for a more complex design, like Breitling’s Navitimer 1 B01 Chronograph 43 mm sporting a wide variety of measurements on the dial. Accessorizing the bezel is another way to create a whole different look for the watch, whether it be with a simple band, blinging out with encrusted diamonds, or creatively worked any number of ways. Omega gives their Speedmaster Racing steel watch a sleek look with the bold orange color on the watch’s bezel. You can even give a little bit of customization to the winding crown. Adding a jewel, a band of colour, or any kind of subtle design gives the watch a touch of personal style. Getting your watch engraved is a classic way to add a personal touch. Whether it’s to make a gift that much more special or to simply memorialize something, engraving can add a special element that completely personalizes the watch. The strap of the watch is one of the most basic elements, and there are endless ways to customize it. Your watch could be styled like the Rolex Submariner, matching the metals of the band and clasp for a classic and impressive look. You could also mix and match metals for a different feel. Check out our post on Top Formal Watch Straps for more. When customizing the strap, you could go one step farther and opt for a completely different material, like leather. The color options there extend even further and present a wide range of possibilities. Cartier’s Tank Solo steel watch uses a black leather bracelet for a low-key and durable style. There are so many ways to give your watch a touch of personal flair. 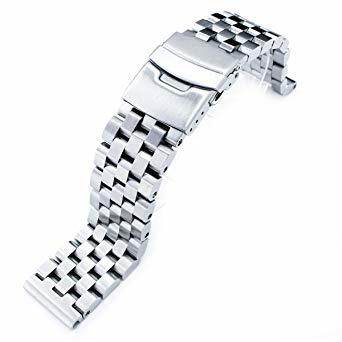 Whether you prefer a classic watch strap, sleek or ornate, all the customizable components of luxury watches give everyone a chance to find one that fits their style perfectly. 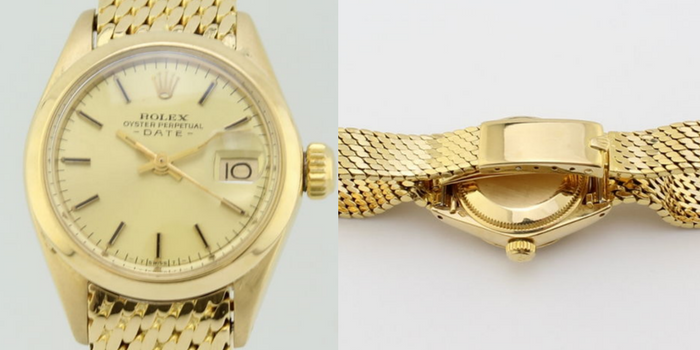 What are your favorite styles and features when it comes to luxury watches? Let us know below.